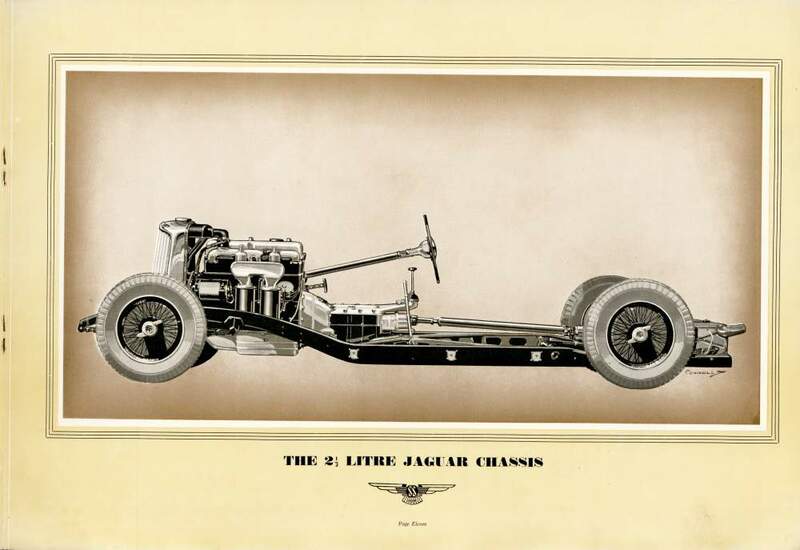 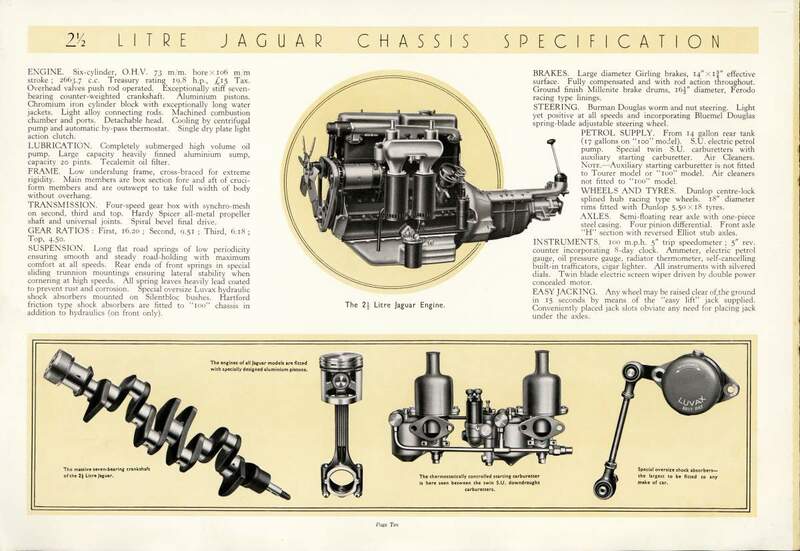 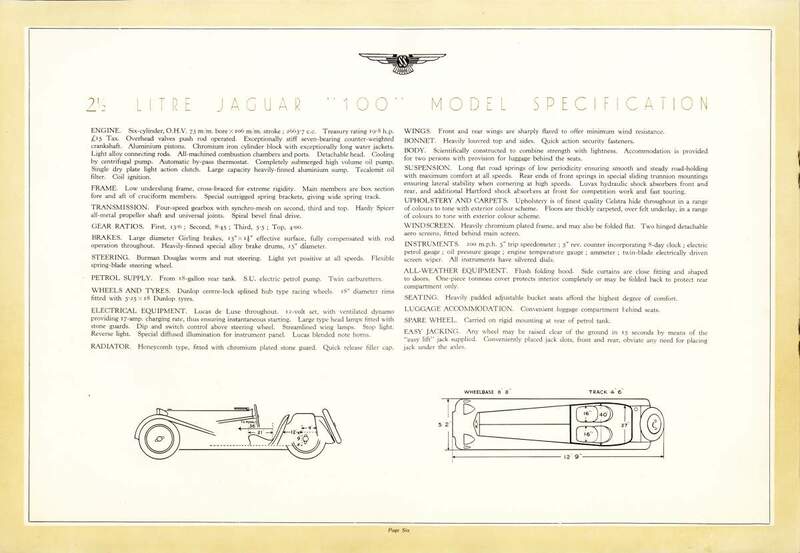 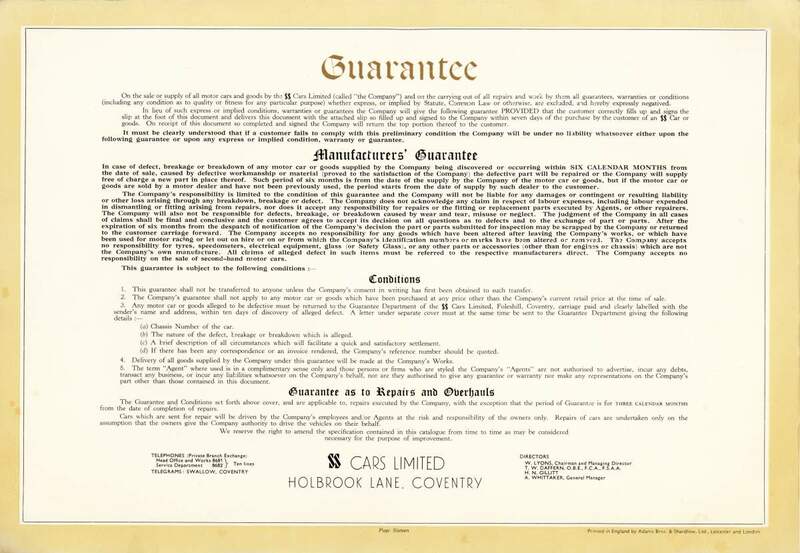 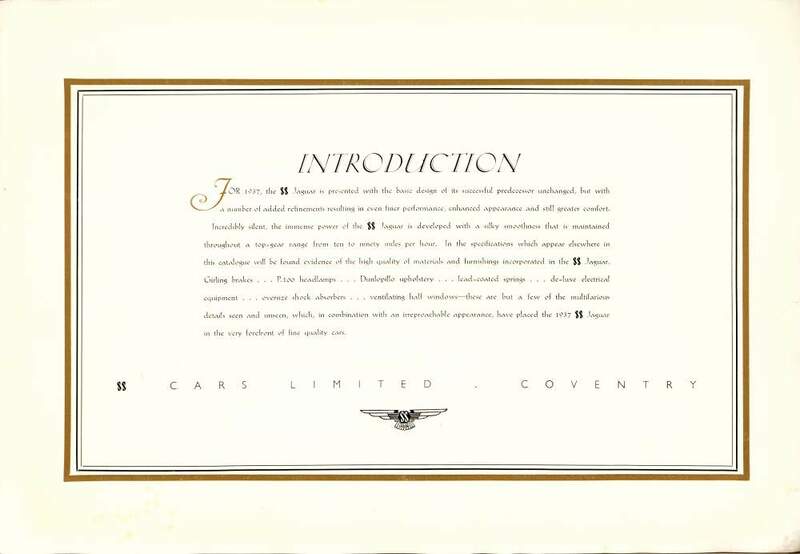 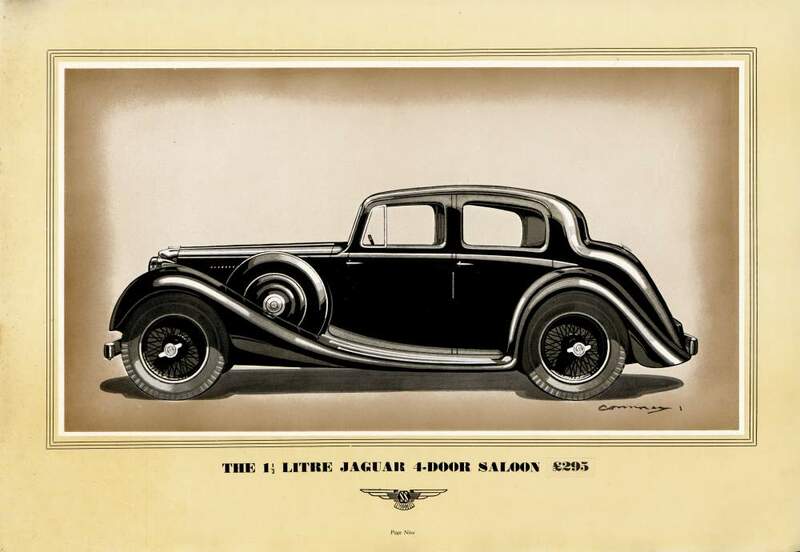 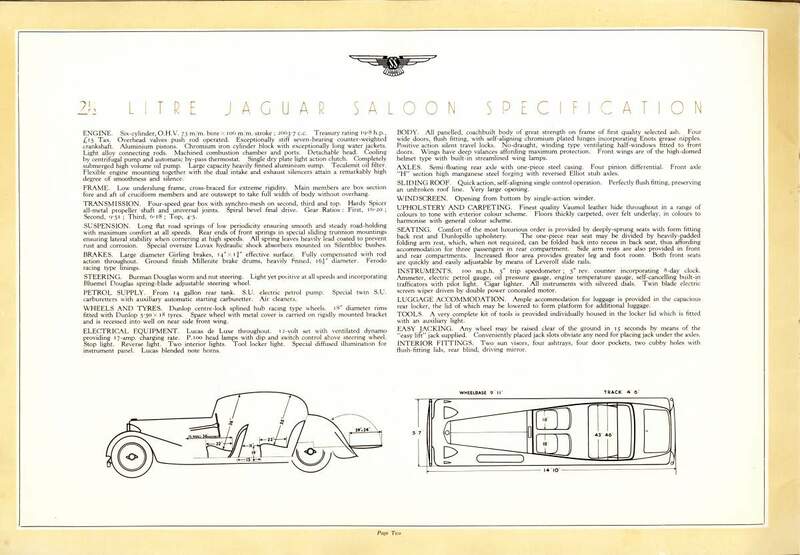 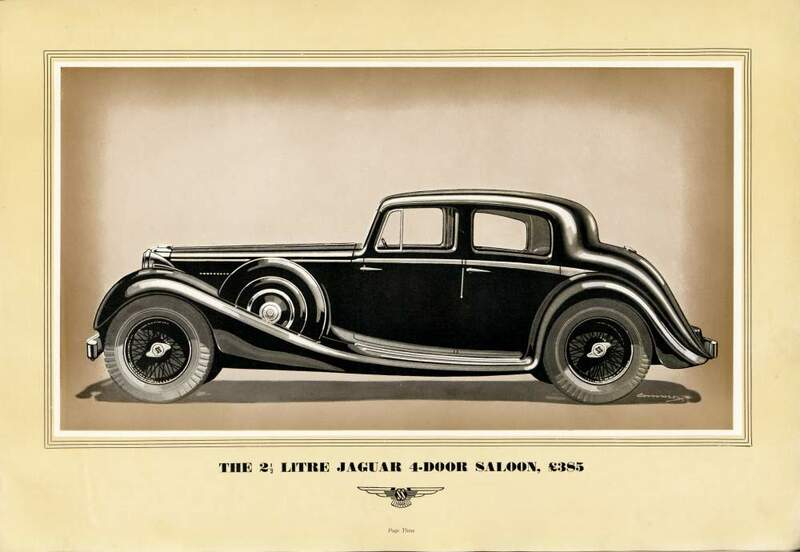 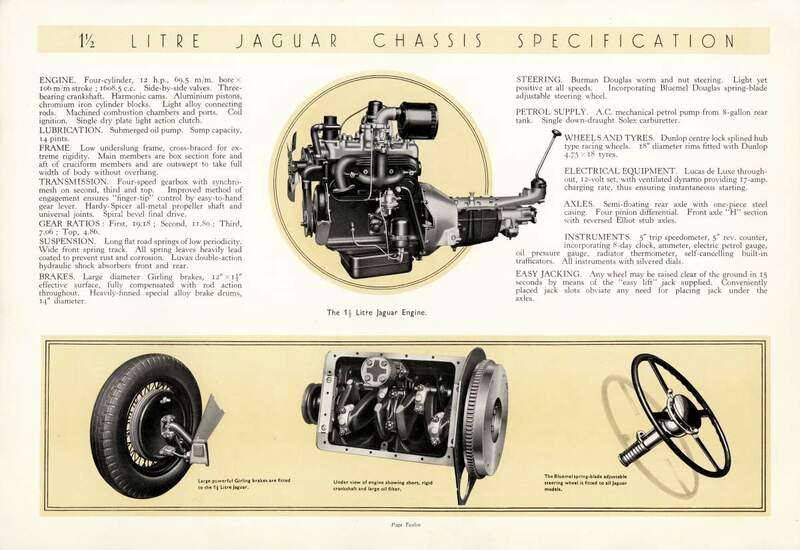 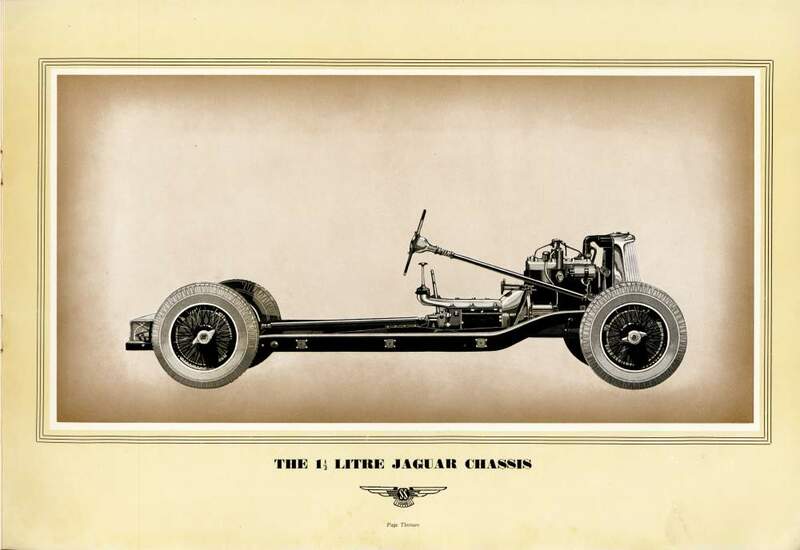 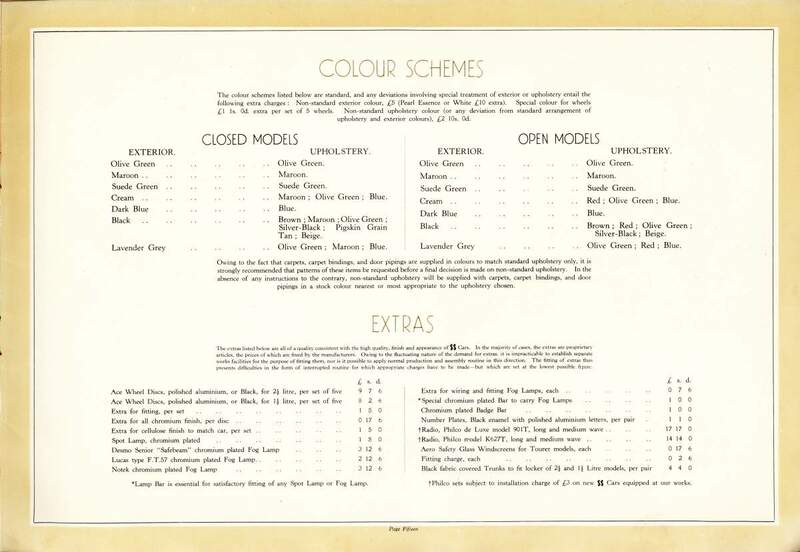 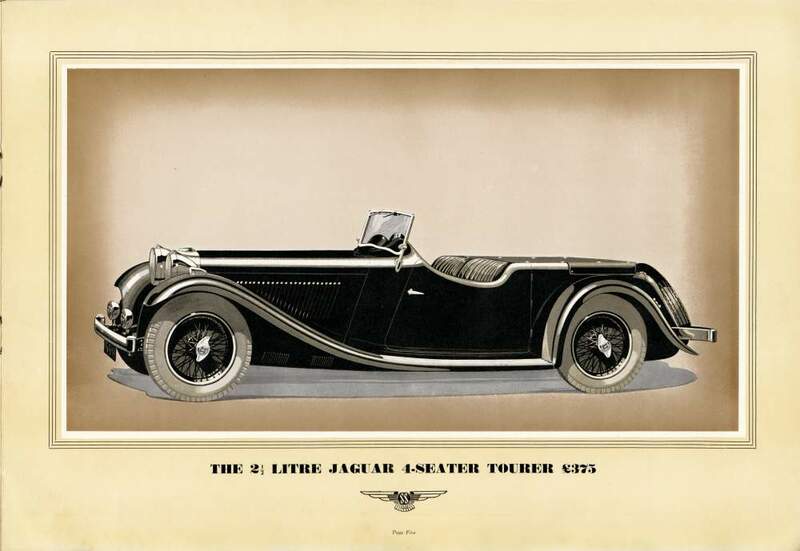 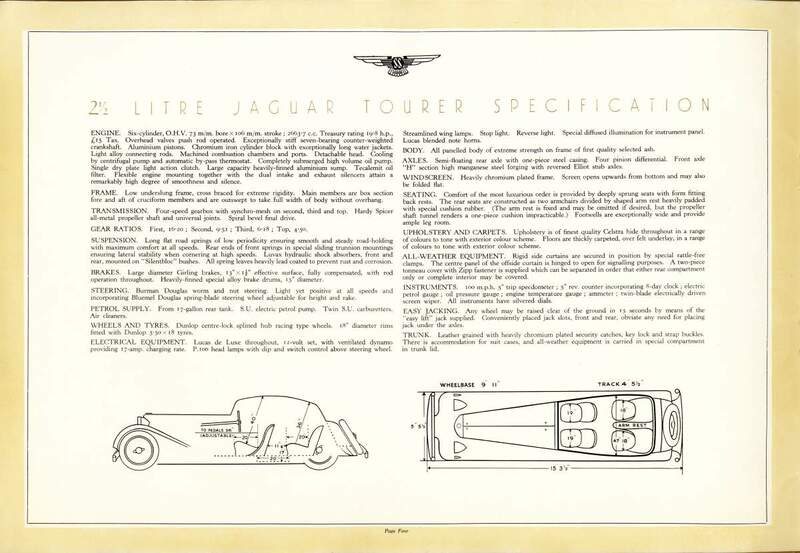 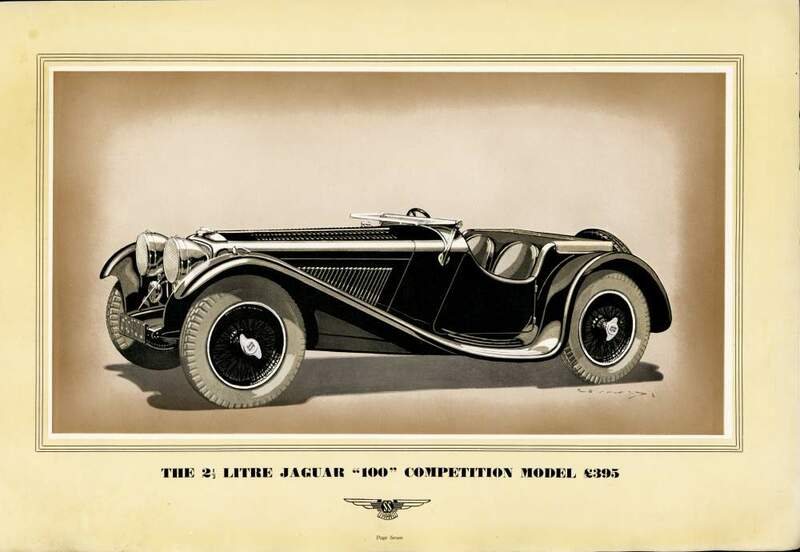 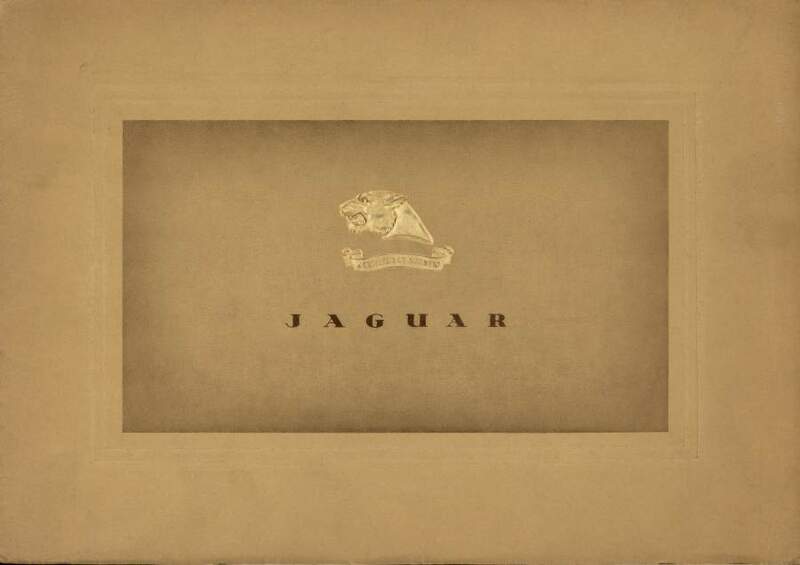 A rare prestige catalogue for the SS Jaguar range for 1937 - this catalogue shows the first ever recorded use of a leaping cat by the Company, but the artist remains undiscovered. 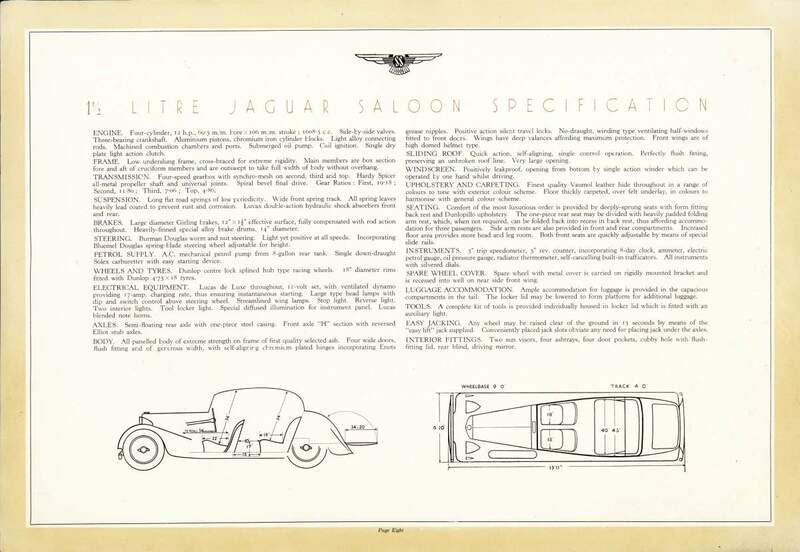 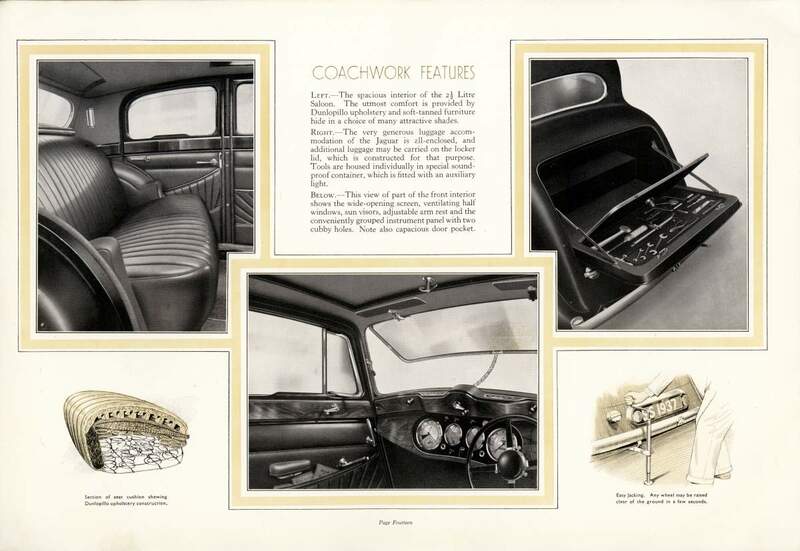 Illustrations by Connoly - these appear in other catalogues of the period. 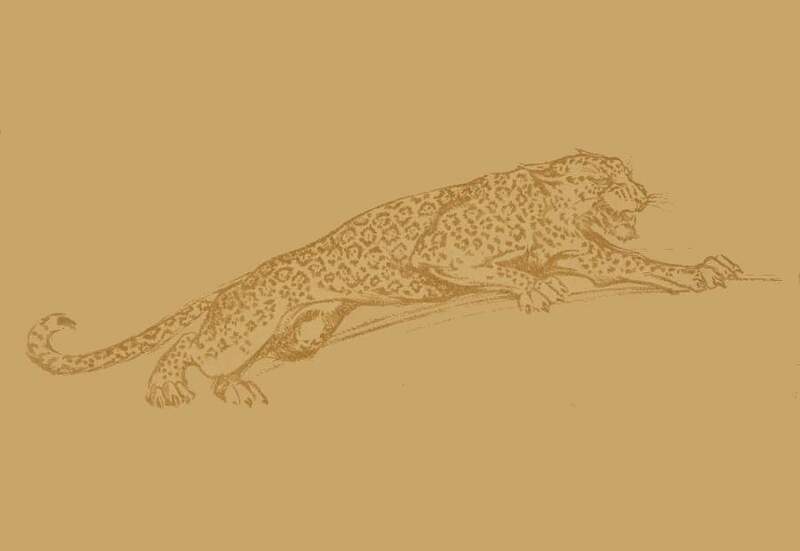 Below the golden Jaguar head on the cover is a Jaguar motto ' CELERITER ET SILENTIO' (Swift and Silent) - it doesn't seem to have ever been used again though.